Interested in more information or a tour of our HONG KONG data centers? Hong Kong’s economy is notable for its low taxes, minimal government market intervention and an established international financial market, in addition to its strategic positioning as a gateway to mainland China. INAP’s Hong Kong data center is located in the Tsuen Wan district, an industrial area between Hong Kong International Airport and the Central Business District, with easy access to the MTR metro system. 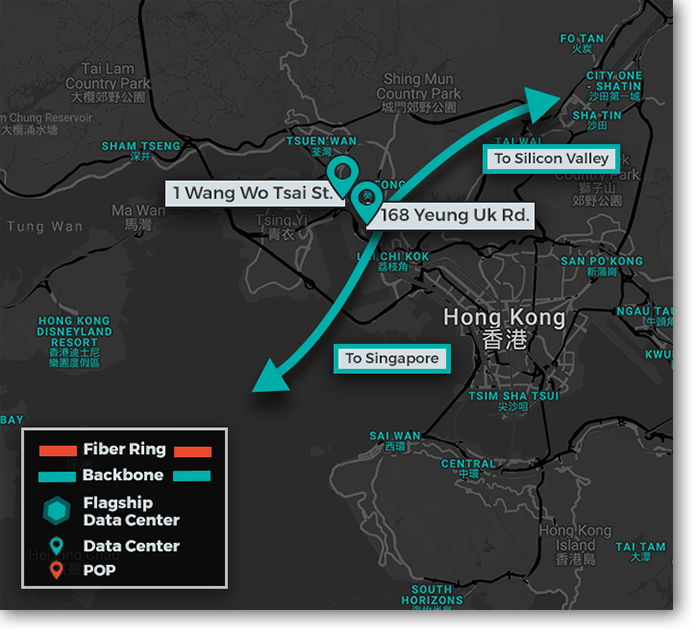 Our Hong Kong data centers connect to Singapore and Silicon Valley via our reliable, high-performing backbone.